February 2014 | Just Mi! Well, I wanted to make a few announcements today. I'm getting to this a little late because I've been talking my head off this morning...every time I turned around there was someone there waiting to talk! A great start to a getting-no-work-done Friday! First of all, I figured out how to make my Natural Hair page the way I wanted to! I knew what I was looking for, so all I had to do was Google it. Google is normally my answer for finding everything I don't know so I have no idea why I didn't do that to start with! I'm sure I could figure out all I want to do with this blog by googling it, the thing is finding the time to do it all!! Anywho, click on my "All About My Hair" page on the bar above or CLICK HERE! Although I spent a lot of time gathering those links for the previous page I did...and I spent a lot of time putting all those pictures together, I'm really excited about figuring this out and it makes things much easier moving forward! ...this will also be my main button for a while. Cute right?! I decided to put the other buttons on my 'About Mi!" and 'Contact & Follow Mi!' pages. I altered my meet me section (over at the right) too! I had to keep myself busy last night because I was ready to go to sleep after eating dinner. I had about an hour to wait for Scandal to come on and I knew I wouldn't make it unless I was occupied! Plus, you got to switch it up every now and then, right?! Three: Now that I'm getting settled in the DC area a little more and since it'll start warming up soon, I'm getting out there and trying some different things. Be on the look out for some exciting posts to come this Spring! I'm so grateful that it's the weekend. I'll be exploring new social territory this weekend, so wish me luck! You guys know I'm an introvert :-). I'll also be trying to get some well needed rest this weekend, but who's to say that'll happen? I managed to make a few changes to my blog, clean up my blog email (so I'm able to better communicate with you guys), sign up for some activities, win a prize from a local radio station (perhaps? !...stick around to find out), get into a never ending battle with Walmart over a refund (long story, definitely for another day), spend time out and about in the city...and I still have things on my to-do. I plan on going back through my posts and properly arranging them, watermark my pictures, and let's not even talk about doing my taxes!! LOL. To say the least, I've had a super busy two weeks and my body just needs to catch up! So check out my hair page and get ready to enter this giveaway coming soon to a blot near you! News Flash: I'm on a health kick! This year I've decided to be a healthier me. Watching my boyfriend as he's done all he's done for his health has helped me take a second think about my own health. I watch and read news all the time about what's good for you and what's bad for you and I feel things are more confusing these days. One day something is good for you, the next day it's bad for you! The best thing I can do for me is be proactive about my health and change what I know I can change about my lifestyle. That alone will foster a healthier lifestyle in the long run. Exercise: I miss working out in a gym SO MUCH! I had a gym membership that I used faithfully when I was in NC. I went to the gym about 3 to 4 times a week!! Once I started preparing for my move I had to let the gym go. Now that I've moved, I've been unable to find a suitable gym. I've had to resort to working out at home, which is okay, but I don't feel like I'm getting the same impact as I'd get from working out with heavy weights. I've searched YouTube and Pinterest and found some really useful workouts. One of my friends tags me in Instagram workout videos that have been extremely helpful as well. I've also recently downloaded an app that I feel will be my main workout source. These are all things that I'll talk more about in future posts! Diet: When I say diet, I don't mean that I'm going to be around here eating crackers and drinking water! I plan to watch my macronutrients (macros) closely and change those numbers to fit my needs. I won't get into too much detail about this stuff because this is just an intro, but macros are basically carbs, proteins, and fats. What I'm learning now is that there's a lot of each in the foods I eat. I'm in the process of trying to train myself to stay within my macro number limit. What this means is I can still eat some of the same foods I've been eating...as long as I don't go over the number of macros I can eat in a day. I have an app that helps with me with this...also to be discussed in a future post. I've had to change my diet slightly because I'm hungry a lot...so I need to feed myself when I'm hungry! I still haven't gotten it down pact, which is why I want to wait before talking about my diet in detail. I've gotten some great tips from my boyfriend and one of my blog buddies, so I'm optimistic! 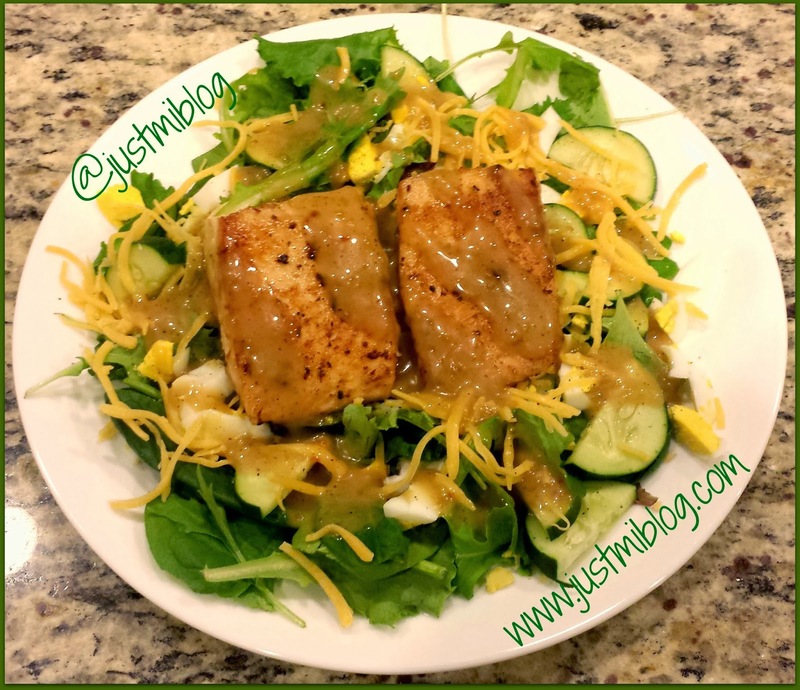 For starters though, here's picture of my meal last night (Salmon Salad - fancy leaf blend salad, hardboiled egg, no fat cheese, cucumbers, salmon, and Japanese ginger salad dressing)! To sum up this little summary, this is going to be a challenge but I know I can do it. It's not something that's going to happen overnight and I don't expect to see changes overnight (...but I do hope to have a summer ready body! :-) I'm in this for the long haul. My body is depending on me! P.S. 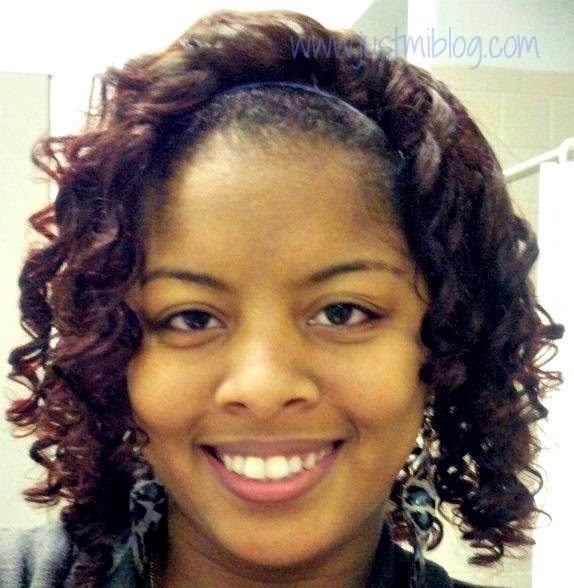 - Like hair is the main topic of my blog, fitness is the main topic of my boyfriend's new YouTube channel. Check him out at C.Bake.presents. FlightSchoolFitness. He's building so subscribe, watch and like his videos, ask questions, etc! Thanks y'all and have a great Wednesday! I'm back!! I had to take a little break but I'm back to share another hairstyle with you guys. First, let me point out that my left side is thicker than my right. I try to hide it with different hairstyles, but the difference is still noticeable at times. I must also admit that the heatless curl method was very hard to do at first. I wanted to roll my hair up so that when each rod was unrolled the curl would fall in the direction I wanted it to fall in. The curls in the back were much harder to get to, but after a while, I got the hang of it!! These pictures show how my hair looked as it fell. The first picture was about two days later and the second picture is about five days later. 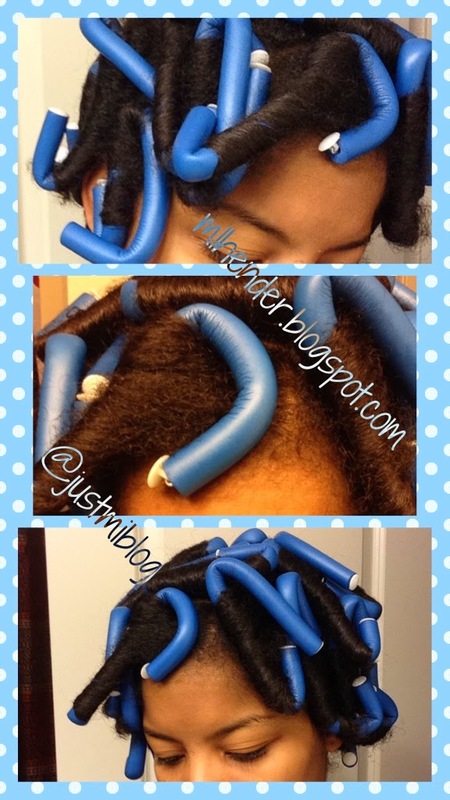 The last time I used flexi rods, I ended up with a frizzy look. 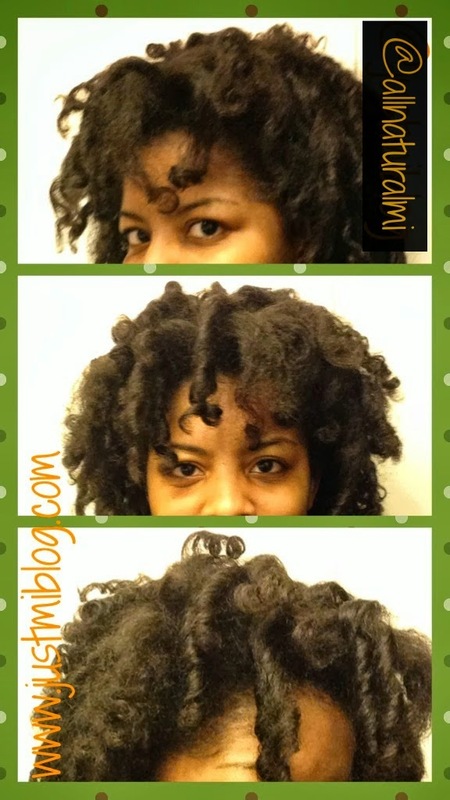 This time I followed my normal wash day routine, except I used Design Essentials Compositions Foaming Wrap Lotion. I liked the style more as it fell, but it was really dry. I attribute the dryness to the wrap lotion because my hair has never been that dry after styling. I ended up spraying my hair with water as I twisted it one night and locked the moisture in with coconut oil. That seemed to get the job done. Have you ladies tried any heatless techniques? Have you had to battle with the frizziness? 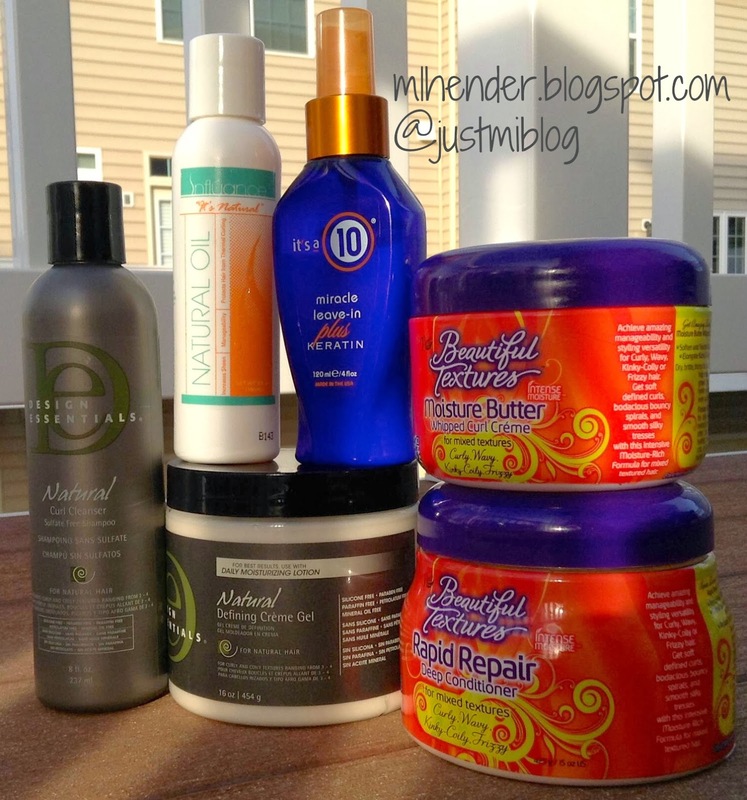 How do you use to combat frizziness? In other news, my curlBOX came...but they sent it to my NC address!! I got it forwarded this weekend, but I still haven't received it yet. I'm hoping to get it soon so I can try some of the products out and blog about them!! Keep your eyes open for that. Also, I've created a page for all my hair posts. It's so much easier to lead people to my 'hair page' than to have them search through my year's worth of posts!! Click on the tab above or CLICK HERE! Tell me what you think about it!! Well today is President's Day guys! I'm aware that not everyone has today off, but I do and my blog takes breaks when I take breaks! Seriously though, I decided to go home to NC and check on my family this weekend. I've been spending time with them and having a good time doing it. I wanted to post on my regular post day so you guys wouldn't think I forgot about you! President's Day is a federal holiday honoring George Washington's birthday. It's usually reserved for the third Monday is February. I don't recall having President's day off at my last job, but I'll take any day off I can get. I needed to come home without having to take time off of work, so this worked out for me. We had a snow day Thursday, a two hour delay Friday, then I had to make a five hour drive home, and I have to make that same five hour drive back today!! Hopefully there won't be many people on the road. Hopefully I'll be all rested up and I'll have a post for you on Wednesday!! A couple of suggestions: I really enjoyed my Introvert Series the best. That series gave me the opportunity to shed some light on some of the things about me that I feel people misunderstand the most. I also enjoyed the series connected with 'Let's Talk About College'. That series gave me a chance to shed some light on my transition from school to work which led up to the big announcement I made about moving to DC. So, if I had to point you in a direction, I would say definitely check out those posts! It's an extended weekend for most of us with President's Day being Monday. I hope you all enjoy this weekend and make the most of it! Someone a few years ago taught me how to make Taco Salad. I used to make it all the time back in the day but had forgotten all about it! I guess with the recent Super Bowl and all the pizza/taco/nacho commercials...it kind of jogged my brain a little. This recipe, like many of the recipes I try out these days, is an easy one. It's just like making tacos!! BUT don't let that look fool you! Brown the ground beef and add the taco seasoning. 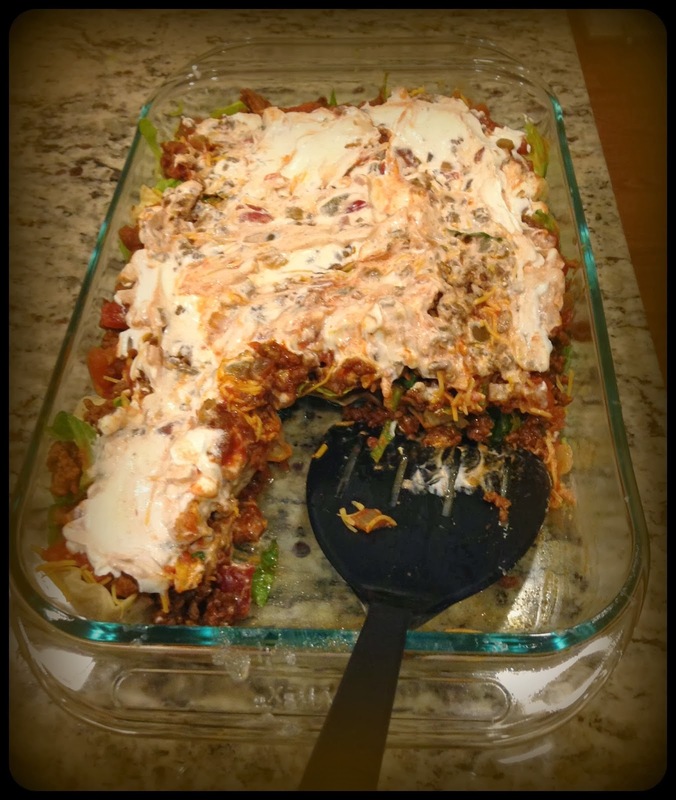 Layer the taco salad as you see fit!! Easy, peasy right! Lol. This is a meal that doesn't last long so I'd suggest doubling, even tripling, your portions if you have a bigger family. Try this quick recipe and let me know how you like it! 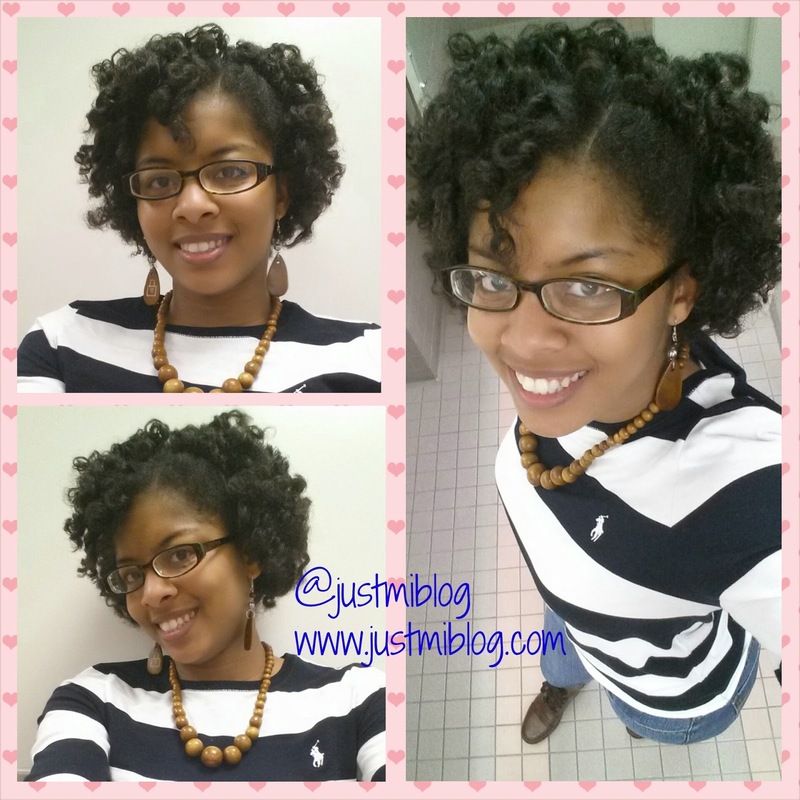 Remember my Flexi Rod Set post from last week?? In that post I revealed that I tried something new during my most recent wash day. The results yielded a very nice look that I got many compliments on but too much frizz for my taste. I was determined to make this style last longer than a few days because I never wash my hair before the 2 week mark! Here's a look at a before picture. So, with my head looking like this (I mean, of course I had it pinned up so you couldn't tell it looked this rough), I began my extensive research on YouTube. One problem I have with YouTube is I have a hard time finding YouTubers with hair like mine (with the same texture but specifically with the same length of hair as I have for the styles I'm trying to achieve). For example, I've tried to find quick protective styles with no luck. Most of the natural hair YouTubers I subscribe to are ladies with curlier patterns and longer hair...so most of the styles they show don't look quite the same on me. I would love to see more ladies with hair like mine...but that's another story for another day (unless you happen to know some, then please share)! This time I got lucky! I happened to find two videos I could use for my revamp so I was ecstatic! The first video I found was Flexi-Rod Revamp. The finished look this Youtuber achieved fell right along the lines of what I was looking for. 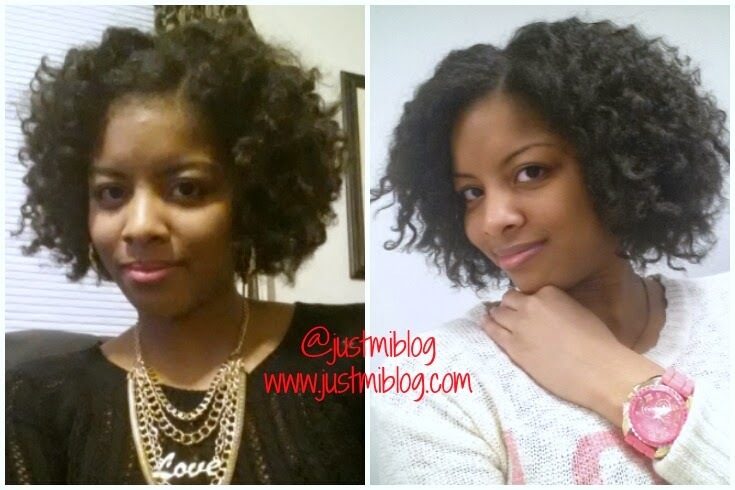 I still wanted to keep my spiral curls but I needed to tighten up the style so there wasn't as much frizz showing. 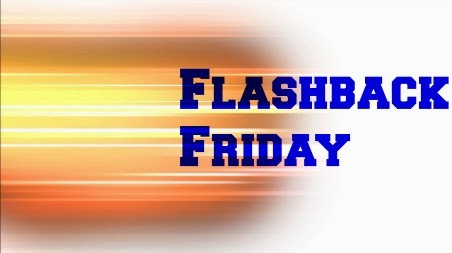 Since I've been in Betty Crocker mode late, let's take a look back at some of my favorite recipe posts!! So Kale Got The Best of My...I Got Something For That!! I Tried Something New: Couscous | What In The Kale Is Going On?! Check out Just Mi! on Facebook! Like the page so you can get updates when I post new posts!! ONE DAY LEFT for the Valentine's Day Cash Giveaway!!! Click on the link for the last day to enter!! I don't know if you guys know this, but I love strawberries!! I've pinned more than my fair share of strawberry recipes on Pinterest. I've recently started buying strawberries (although I'm sure they're not in season) and the thing about buying fruit is you definitely have to use them before you lose them. 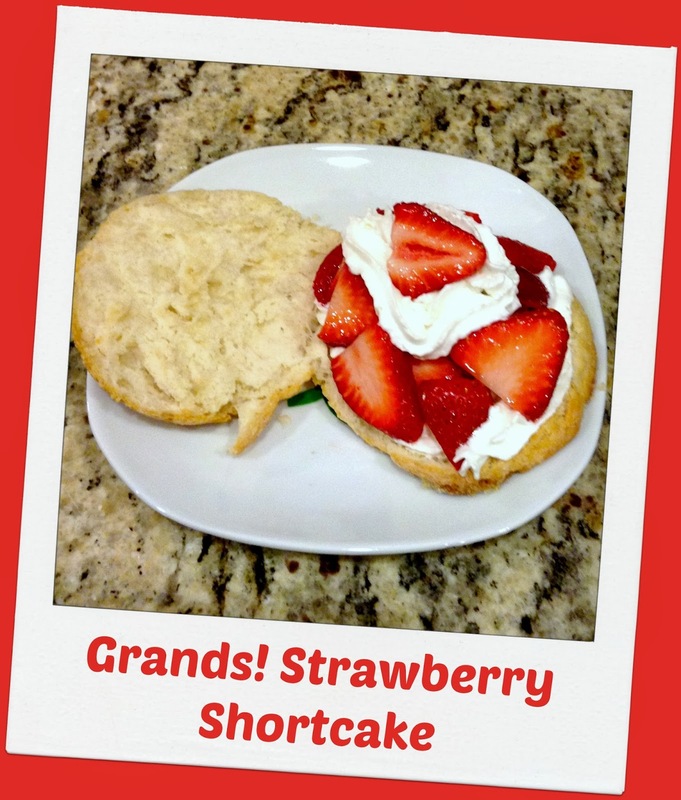 So I figured, why not try one of the many strawberry recipes I've pinned?! This recipe was pinned by Pillsbury, so I knew it would be good. I deviated from the recipe a bit because although I baked the amount of "cakes" (or biscuits) suggested in the recipe, I only fully prepared two cakes. The original recipe link is below. Now, here's how I prepared this dish. Remember: the biscuit ingredients are for 5 cakes but the strawberry ingredients are for 2 cakes. Then I opened the can of biscuits to prepare them for the oven. I took each biscuit and rolled it around in the butter so that it was covered. Then I rolled the butter covered dough in sugar. I placed 5 of these on an ungreased cookie sheet and baked for about 15 minutes. I then took them out to cool for about 5 minutes. And layered the strawberry/sugar mix and Reddi Wip as you see in the picture. Finito!! This was very good and quick dessert. I was so excited about finding out that I wouldn't have to go to work the next day that I made these treats. I think making this can be kind of a waste if you're not going to use the whole can of biscuits because you can't store opened biscuits without destroying the quality of the dough. What I would suggest is to bake all the biscuits in the can so you can store the cooked biscuits. It would be much easier to reheat the cooked biscuits then to try and store dough! Either way, I plan on using this recipe again. It was a hit! Ladies and gentlemen...there are THREE DAYS left in the Valentine's Day Cash Giveaway!!! Make sure you enter to win so that you're Valentine's day can be $350 better!! I finally caved and washed my hair. Instead of doing the regular twist out, I decided to try something different. I used the same formula for wash days as I normally do (see here for pics) except when it was time to twist my hair, I put in flexi rods. Before rolling, I sprayed each section of hair with the leave-in conditioner, followed by a little oil, then creme gel. 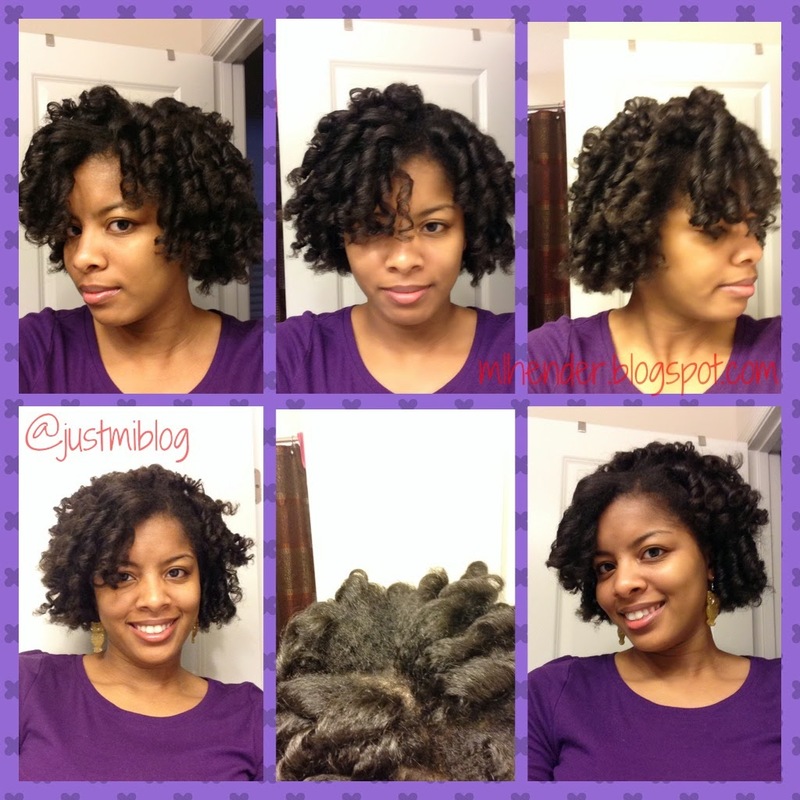 Next, I wrapped each section of hair around a flexi rod until my whole head was complete. As I was putting the rods in, I could tell I probably should have used setting lotion. Since I'd just washed my hair, I didn't want to use too many products. I wanted to make sure I wouldn't have to wash my hair before hitting my 2 week mark for hair washing. Here's the finished product! Overall, I think it turned out great. The only problem I had was that it wasn't as polished as it could have been. It was very frizzy and didn't last as long as I know it can. It was also very dry. I tried to put moisturizer in, but it was hard to do that without making it more frizzy than it already was. For the amount of time I kept the style, it looked good! The next hair post I'll be doing is I did was about what I did to revamp this rod set after it got too out of control (frizz-wise). And also check out Funday Monday!